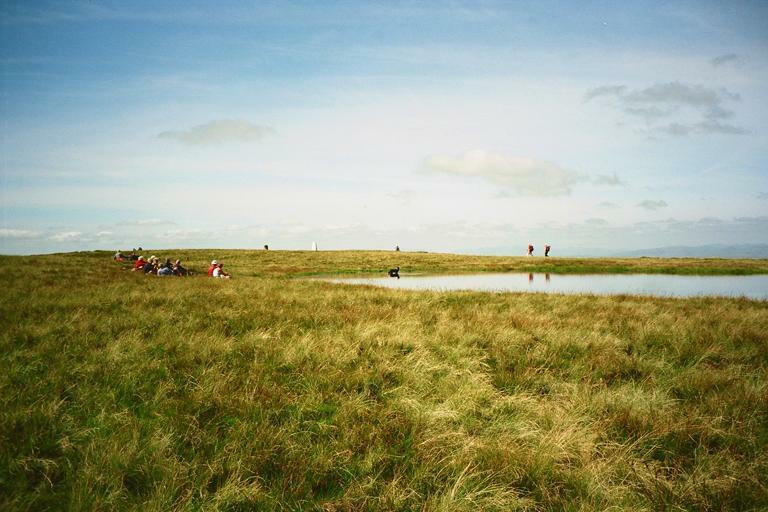 The tarn at the top of The Calf is a popular place for meal breaks, especially for sheep. The trig. column near the summit of The Calf can be seen left of centre on the horizon. The true summit appears to be to the left of that. Smaller version of this picture.